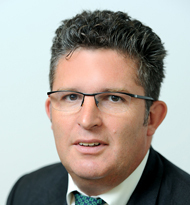 Richard has worked as a lawyer in the financial services industry for over 26 years. He served 15 years at Bank of America Merrill Lynch most recently as a Managing Director and Head of EMEA Fixed Income and Currencies legal team. At Merrill Lynch in London he had been Head of the EMEA Fixed Income, Equity Sales and Trading Legal Team, managing a team of up to 50 lawyers responsible for product coverage across the Region. Richard was the principal legal advisor for various trading and risk management functions, advising variously on management of the firm’s legal and regulatory risk across the entire spectrum of the firm’s fixed income and equity businesses and the products and transaction. Richard started his legal career at Allen & Overy in London. He spent part of his career in the firm’s Dubai office. He advised on a series of asset- backed financing deals, including tax-based aircraft finance deals as well as capital market, derivative and structured product transactions involved. Richard holds a BA in Law from University of Durham.